The pixel board is equipped with a WS2812B which is actually an RGB LED with a WS2811 built right into the LED! Several of these breakouts can be chained together to form a display or an addressable string. We know you love adding color to your e-textiles, adding the LilyPad Pixel Board to your project will only make it better. 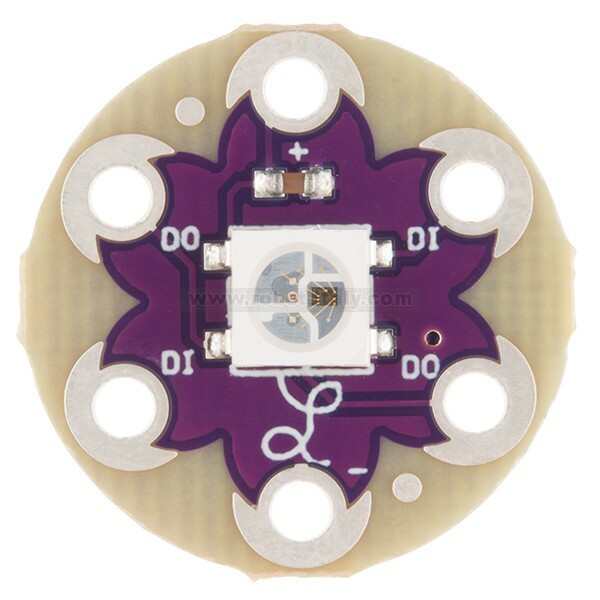 The pixel board is equipped with a WS2812B which is actually an RGB LED with a WS2811 built right into the LED! Several of these breakouts can be chained together to form a display or an addressable string. 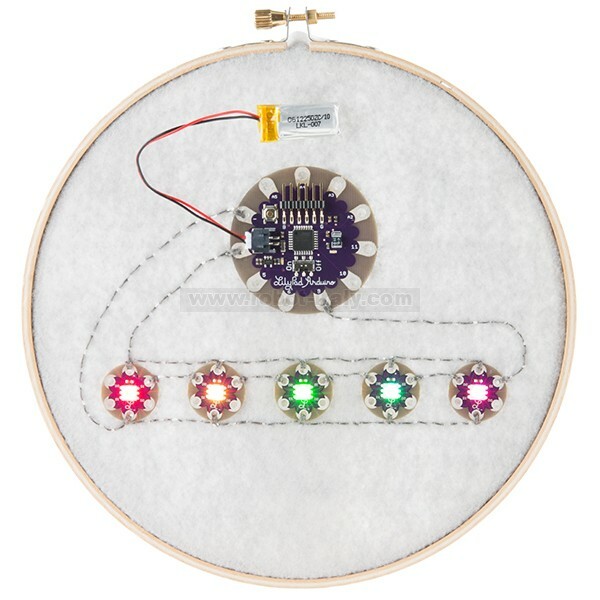 LilyPad is a wearable technology developed by Leah Buechley and cooperatively designed by Leah and SparkFun. 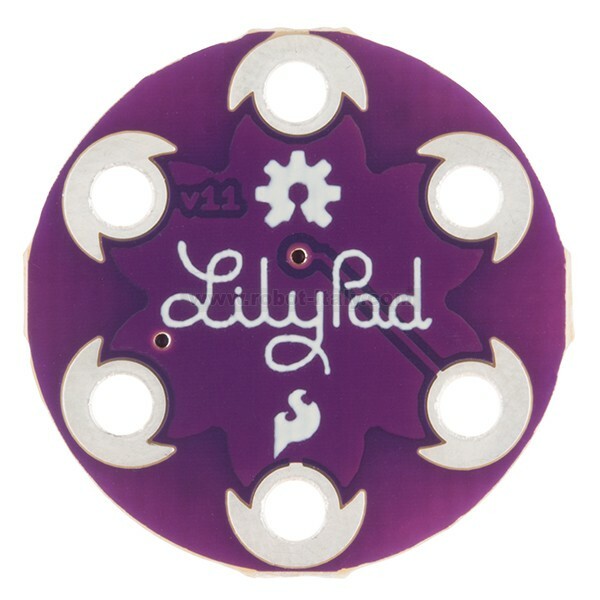 Each LilyPad was creatively designed to have large connecting pads to allow them to be sewn into clothing. 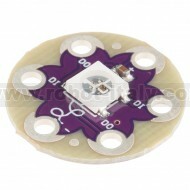 Various input, output, power, and sensor boards are available. They’re even washable!